"Giving back in the communities where we work and live is an inherent part of our culture." – Robert E. Sanchez, Chairman & CEO, Ryder System Inc.
Ryder and the company-funded Ryder Charitable Foundation have a long legacy of building stronger communities where our employees live and work by supporting charitable organizations with our people, dollars, and expertise. Our charitable efforts align with Ryder’s brand and core values. We support causes that demonstrate the pillars that define our company – trust, safety, innovation, expertise, and community collaboration – the same ideals that create successful communities. Throughout Ryder’s more than 85-year history, the company has fostered a culture of giving and volunteerism that continues today. 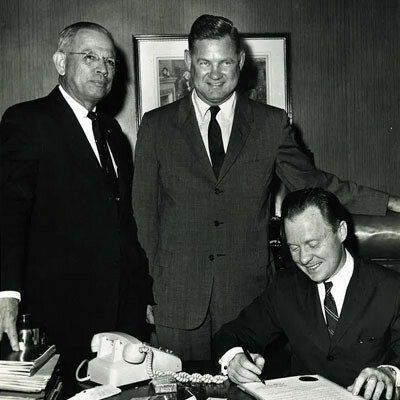 Long before the Ryder Charitable Foundation was established in 1984, Jim Ryder, the company’s founder, made support for the community a priority. 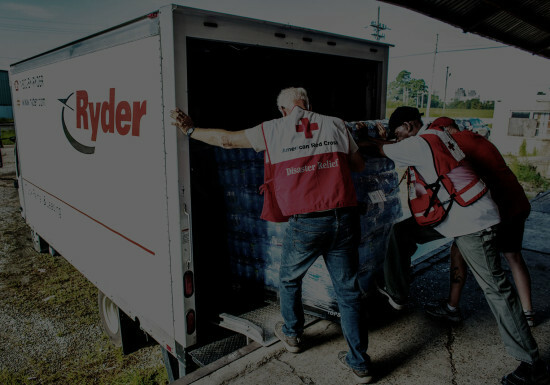 Ryder and our employees have always been committed to cultural, educational and social service institutions in Miami and communities across the country. Today our charitable giving is still ultimately driven by our employees who generously help those in need.